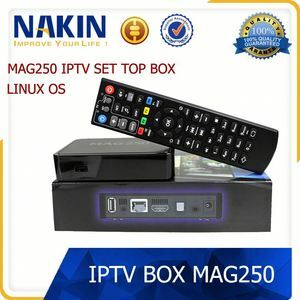 Shenzhen Nakin Electronic Technology Co., Ltd.
Shenzhen HS Video Technology Co., Ltd.
Shenzhen Umelody Technology Co., Ltd.
Huizhou Jinlichen Trading Company Ltd.
LATEST GENUINE MAG322w1/323w1 Built-In Wi-Fi by INFOMIR- WITH 24 MONTHS OFFICIAL WARRANTY. 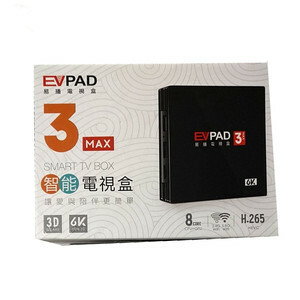 Tags: Smart Iptv Box. Ott. Hevc. Mag322w1/323w1. Mag254w1. Mag254w2. Mag254. Mag256. Mag256w1. Mag256w2. Mag410. Mag324 | Linux Os. Ott. Ministra.mag Linux 3.3. Opengl Es 2.0. Hevc. | Media Player. Stalker. Middleware. One Conax Embedded card reader One Common Interface slot 6000 channels (TV and Radio) programmable Stream TV & Radio channels to your Android devices via local network! Click here for the App! Two High Speed USB 2.0 Connections Ethernet Connection & USB WiFi Support (Ralink RT5370 chip only) YouTube videos RSS Reader & Weather Forecast Functions (Ethernet or WiFi connection required) Channel Streaming via local network to Android Phones & Tablets Channel Recording to External Storage Devices (optional) Timeshift support Channel Recording & Timeshifting Simulteniously (optional) Channel switching time less than 1 second True-color, User Friendly On-Screen Display (OSD) Full Picture In Graphic (PIG) function Electronic Program Guide (EPG) for on screen channel information Subtitle supported Teletext supported by VBI insertion and software emulation Parental lock facility by channel and program event Program and Channel information transfer from receiver to receiver Satellite Blind Scan & Fast Scan support Unicable Support DiSEqC 1.0, 1.1, 1.2 and USALS Compatible Full HD (1080p) Output via HDMI Exciting games embedded Multi-Language support Software upgrade support via USB, Network, RS232 Power Consumption in Stand-By: &lt;0.5W Feel free to visit (EN) our retail website - EUROPE. 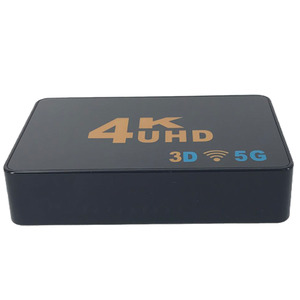 Yiwu Feitun Electronic Product Co., Ltd.
Shenzhen Qianrun Trade Co., Ltd.
Shenzhen Tongshenghong Technology Co., Ltd.
Shenzhen GOODTV Electronics Co., Ltd.
China Wholesale cheap Mini Terrestrial Receiver HD DVB-T2 Set Top Box, Support USB / for H-DMI /MPEG4 /H. 264(Black) Specification: General Model K2 Material ABS Power Supply AC100~240V 50Hz/60Hz Interface USB 2.0 DC 5V Audio R + L H-DMI Power Input CVBS OSD Languages English, Chinese Size 12*11*2.5cm Weight 226g Hardware CPU MSTAR-MSD7T01(128 pin) MIPS 34Kf@600MHz RAM MSTAR-MSD7T01 implant 32X16Mbit DDR2 Flash 32M bytes Antenna Frequency 1066Hz Multimedia Audio Format MP3, WAV, AAC, M4A Video Format AVI, MKV, MPG, VOB, MPEG-4, MPEG-2, MOV, TS, H.264 H. 264 Coding Yes Picture Format JPEG Output Resolution 480i 5 76i, 480p, 576p, 720p, 1080i, 1080P Package Include Package Contents 1 x Box 1 x User manual 1 x Remote Controller 1 x Power Supply 1 x AV Cable Package Weight One Package Weight 0.52kgs / 1.15lb Qty per Carton 30 Carton Weight 13.50kgs / 29.76lb Carton Size 56cm * 37cm * 31cm / 22.05inch * 14.57inch * 12.2inch OEM are Welcome! we support to test samples firstly,after sample testing ok and make bulk order over 200pcs,we will refund the sample fee. 4.Make sure that you have completed all the detailed information like contact person,address,zip code and telephone number and so on. Q2:What's the delivery time9 A: normally under 100pcs we shippedin 1-3 business day after the payment ok! Alibaba.com offers 75 mag 250 arabic channels products. About 2% of these are set top box. 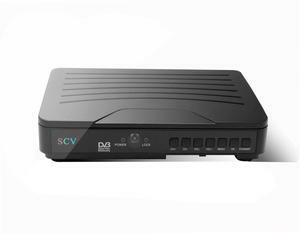 There are 2 mag 250 arabic channels suppliers, mainly located in Asia. The top supplying country is China (Mainland), which supply 100% of mag 250 arabic channels respectively. 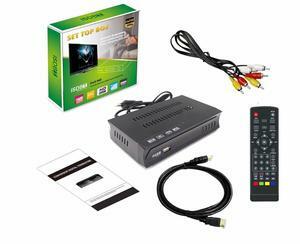 Mag 250 arabic channels products are most popular in South Asia, Southern Europe, and Northern Europe.